In an effort to alleviate the problem of hunger in our area, our Center is holding an ongoing food drive to benefit the Second Harvest Food Bank. Canned and other pre-packaged foods can be placed in the barrels located in our Center during open hours. Please do not donate glass items or bulk items such as flour, sugar, etc. which must be re-packaged. 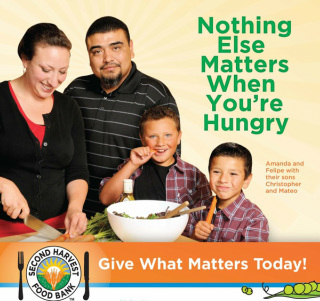 A list of desired food items can be found on the Second Harvest Food Bank website at shfb.org or in our Center.